North Korean media provides details on the summit between its leader and U.S. President Donald Trump. 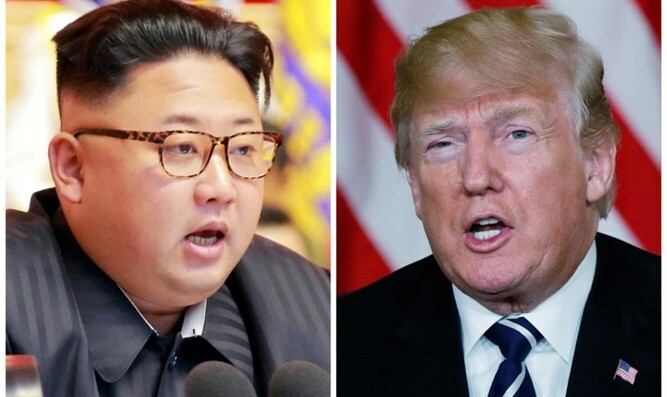 North Korean leader Kim Jong Un and U.S. President Donald Trump will discuss a “permanent and durable peace-keeping mechanism” on the Korean Peninsula, denuclearization of the Korean peninsula and other issues of mutual concern, Reuters reported Sunday, citing North Korea’s state media. The report also said Kim will be accompanied for the summit by his foreign minister Ri Yong Ho, defense minister No Kwang Chol and sister Kim Yo Jong. Trump arrived in Singapore on Sunday ahead of Tuesday’s summit, which will take place at 9:00 a.m. Singapore time at the Capella Hotel on Singapore's Sentosa Island. The President had announced last Friday that his meeting with the North Korean leader will take place as scheduled after previously calling off the summit while citing Pyongyang’s “open hostility” towards the U.S. in recent statements. Speaking about the highly-anticipated meeting with Kim at the G7 summit in Quebec on Saturday, Trump emphasized that the goal was North Korean denuclearization, and said that the meeting was a “one-time shot” for Kim.